When you think of Greece, it’s likely you imagine blue-roofed, pure white architecture, situated high atop impressive hills overlooking the aquamarine waters of the Mediterranean. This picturesque fantasy is a true reality here on the incomparable Greek isles, but Greece is so much more than that. Often referred to as the cradle of civilization, Greece and its culture have had a significant impact on the arts, politics, medicine, philosophy, and many other aspects of society. 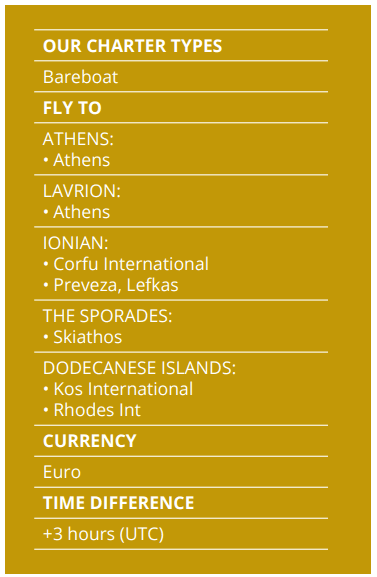 Greece is one of the most well-known and well-loved destinations for travelers in the world. With remarkable diversity in landscape and architecture, you could spend years exploring Greece and never see it all. Most of the country enjoys a pleasant Mediterranean climate, which means weather is essentially perfect year-round. 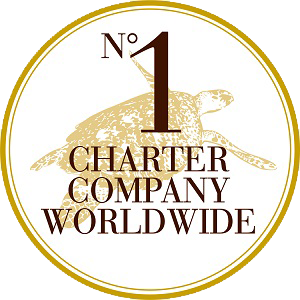 Your yacht charter holiday in Greece offers you the chance to discover Greece in depth. 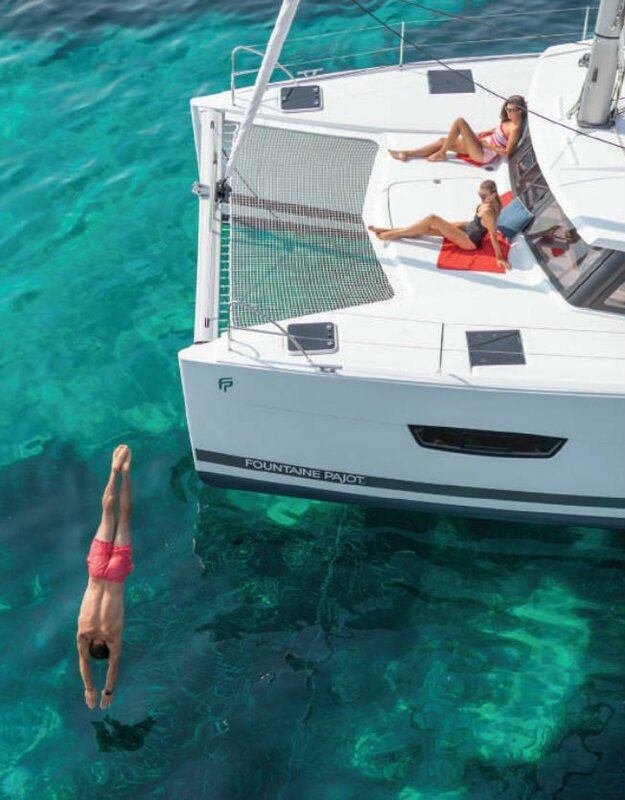 With the freedom of chartering your own bareboat vessel, you can see and do so much of what Greece has in store. 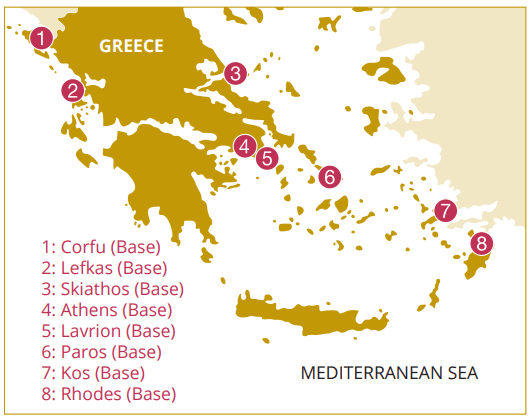 Dream Yacht Charter maintains 10 bases throughout Greece, so your holiday can begin and end in a variety of locations. As you sail, there are infinite spots to stop and discover, but there are several notable areas you want to be sure not to miss: The Greek capital of Athens is the number one pick for history and architecture on your Greek sailing vacation. See the birthplace of democracy as you visit the Parthenon, the Acropolis, and the Daphni Monastery. Museums and beaches will round out your days spent in this friendly city. There are 6000 islands in Greece, so you probably won’t have time to visit them all. The lesser known options are perfect for those seeking more seclusion and the excitement of discovery. But the more popular tourist destinations tend to have vibrant culture, history, dining, and activities. Among the most well known islands are Corfu, Crete, Mykonos, and Santorini. Corfu is very popular, with spectacular beaches and a historic fortress and ‘old town’. Crete is a large island with lots of variety including mountainous areas with olive groves and vineyards, dramatic river gorges, fascinating ancient Minoan ruins, and exciting nightlife. 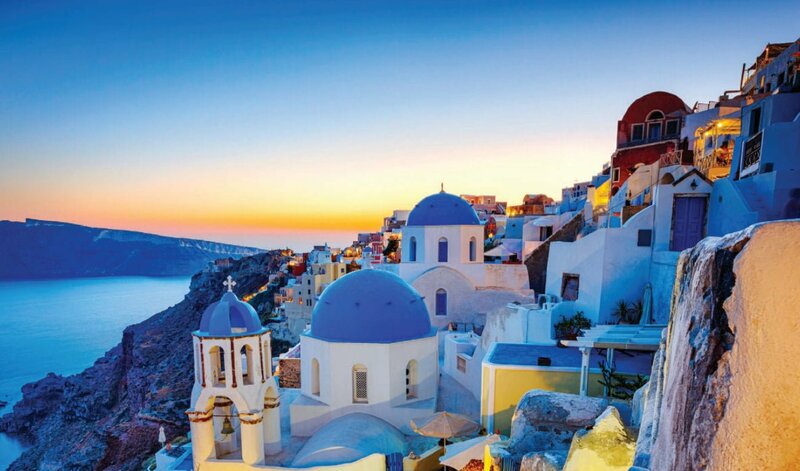 You’ll find Mykonos and Santorini in the Cyclades. Volcanic Santorini is one of Greece’s most picturesque islands, and has countless opportunities for great travel photography, particularly in the capital city of Fira. For brilliant Mediterranean sunsets, stop by the coastal city of Oia. Mykonos is a great option for nightlife as well as wonderful shopping, dining, and people-watching.